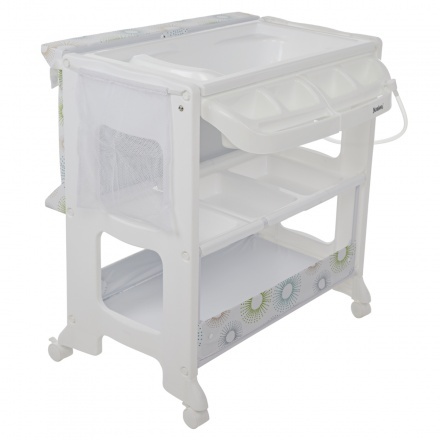 Juniors Ocean Galaxy Change Centre | White | Changing mat and extra hose for draining. Save BHD 0 (0%) Earn 166 Shukrans What is Shukran? Shukran is the Landmark Group’s award-winning loyalty programme in the Middle East, which allows you to earn Shukrans when you shop any of our brands. 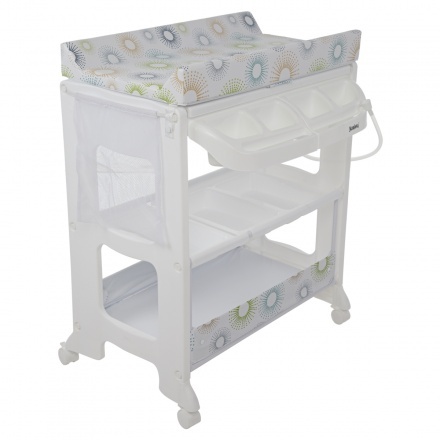 This changing centre is designed for efficient and comfortable bathing experience for your baby. 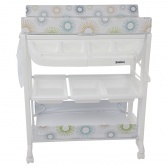 This changing centre features two shelves for keeping all the essentials of your baby safe and handy. It also comes with a changer top for convenient dressing. Feature 1 : Changing mat and extra hose for draining. Feature 3 : Removable tub for easy cleaning. 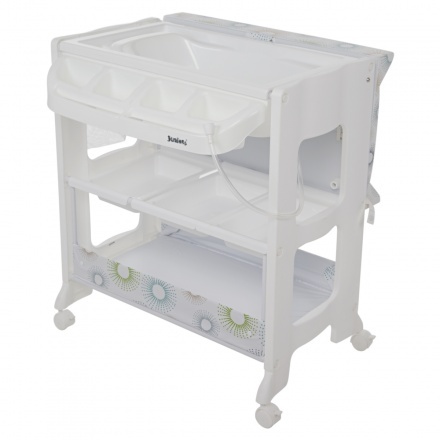 Feature 2 : Wheels for easy moving.